Dubrovnik’s history witnesses the changing fortune of a borderland Mediterranean city-state that for centuries lived in harmony with its surroundings. Originally called Ragusa, the city was founded in the 7th century as a refuge for coastal residents fleeing the advancing barbarians. From the outset, the city was protected by defensive walls. The borderland status of the town was to be a determining factor in its history. Part of the Mediterranean cultural constellation, yet intimately connected to the Balkans. Catholic yet surrounded by Islamic and Orthodox neighbours. The new city-state used its status as a crossroads between cultures and civilisations. The city thrived through extensive trade with other maritime ports such as Genoa, Pisa and Venice. Its continental trade networks also extended its reach into the Balkans with the Ottoman Empire. At the beginning of the 13th century, Dubrovnik fell under the control of the most Serene Republic, staying under its control until 1358. Towards the end of the Middle Ages, Dubrovnik’s maritime influence meant that it was the chief competitor of the Venetian empire for the Adriatic waterways. Its European educated diplomats and its widespread commerce allowed it to expand its influence beyond the Adriatic. Machiavelli was a notable luminary so impressed by the city that he applied to work there. City authorities were not impressed and turned him down. Dubrovnik’s ascent received a major blow in 1667 as a catastrophic earthquake destroyed a large amount of Renaissance art and architecture in the city. The Sponza and the Rector’s palace were the only buildings that survived the natural disaster. The city was reconstructed in the baroque style that has survived intact until today. Despite the reconstruction, the decline of the Mediterranean as a hub for trade meant that Dubrovnik, like other Mediterranean ports, began a steady decline. By the time Napoleon arrived at the gates in 1806, the Republic of St Blaise was a shadow of itself. The Congress system and Napoleon’s campaign had extinguished the last vestiges of the Republic. In 1815, like much of the eastern Adriatic coast, Dubrovnik became part of the Habsburg Empire, where it would remain until 1918. 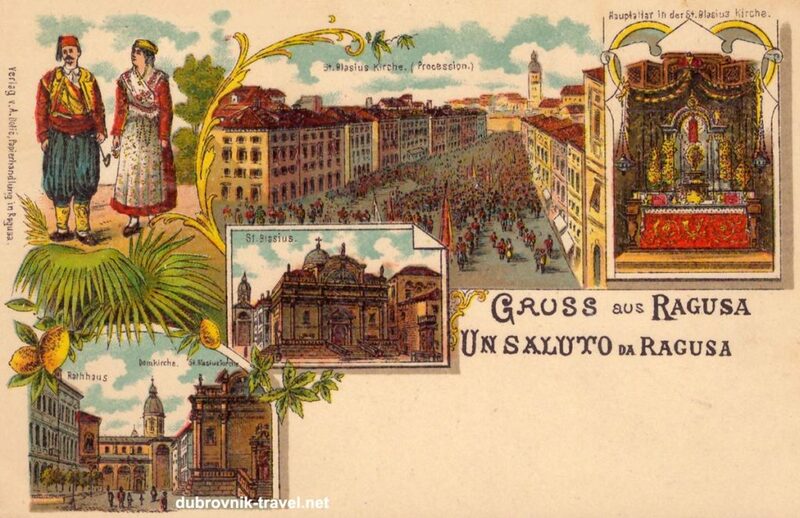 The period of Austrian dominance saw the early beginnings of tourism. 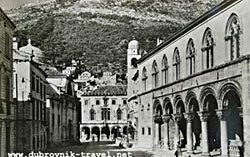 Lord Byron on his Grand Tour was said to have called Dubrovnik ‘the Pearl of the Adriatic’. Later, prominent authors like Bernard Shaw and Agatha Christie were dazzled by the perfectly preserved baroque oasis. During the second Yugoslav period after 1945, the popularity of the city grew worldwide and millions marvelled at the medieval splendour. The importance of tourism meant that Dubrovnik was put on UNESCO’s world heritage list in 1979. This also meant that it was one of the few places in the former Yugoslavia that were demilitarised as the authorities felt that a military presence was incompatible with the development of tourism. The income from tourism allowed significant developments for the city infrastructure such as the airport. Due to its historic borderland status, Dubrovnik was significantly affected by the break-up of Yugoslavia. In the early 90s, Greater Serb aggression resulted in Dubrovnik suffering its most serious existential threat. Over two-thirds of the historic town’s buildings were hit by artillery. The town’s cobbled streets were struck by hundreds of direct hits. For the first time in history, the medieval city walls themselves received over a hundred direct hits. Many historic palaces were badly damaged by the resulting fires. The renowned Sponza and Rector’s Palace, St Blaise’s church, the Franciscan monastery and the Amerling and Onofrio fountain all suffered severely. The total reconstruction cost was said to be some $ 10 million.